July 11 (Reuters) - U.S. stocks swung lower on Tuesday after President Donald Trump's eldest son released an email chain, which referred to a top Russian government prosecutor as offering the Trump campaign damaging information about Democratic rival Hillary Clinton. "The Crown prosecutor of Russia ... offered to provide the Trump campaign with some official documents and information that would incriminate Hillary and her dealings with Russia and would be very useful to your father," said the June 3, 2016, email to Donald Trump Jr. from publicist Rob Goldstone. 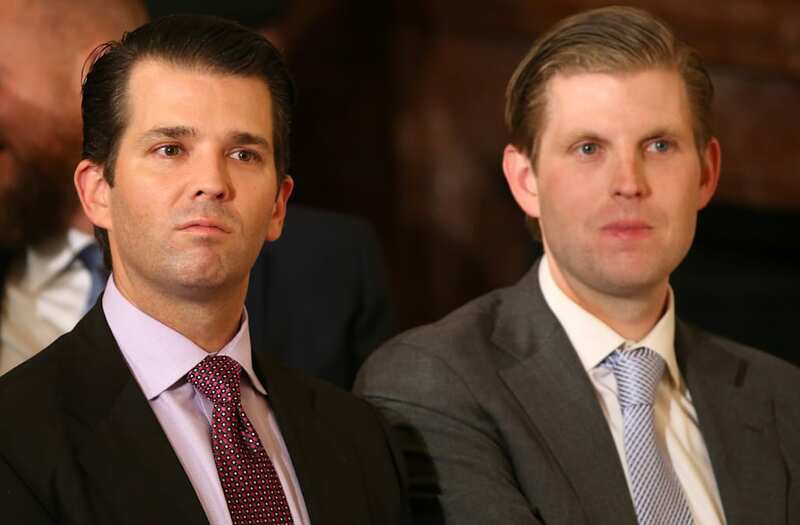 Trump's son, Donald Trump Jr., agreed to meet with a Kremlin-linked lawyer during the 2016 election campaign after being promised damaging information about Hillary Clinton, the New York Times reported on Sunday. "I think people are worried that it just means more political uncertainty, and sort of a continuation of the stalemate in Washington, a continuation of the delay in trying to get the Trump agenda passed through Congress," said Robert Pavlik, chief market strategist at Boston Private Wealth in New York. Stocks were higher in early trading ahead of Federal Reserve chief Janet Yellen's two-day testimony starting on Wednesday as the central bank prepares to unwind the massive hoard of bonds it bought to ease the financial crisis. "We've got Yellen's testimony tomorrow, there may be a little bit of nervousness ahead of that ... the semi-annual monetary policy testimony has often been a big deal for the markets," Scott Brown, chief economist at Raymond James in St. Petersburg, Florida. "I think there may be some fears that she's going to come out relatively hawkish." Investors will be looking at second-quarter earnings reports on Friday from big U.S. banks including JPMorgan Chase, Wells Fargo and Citigroup. Ten of the 11 major S&P 500 sectors were lower, dragged down by losses in financials sector. At 11:27 a.m. EDT the Dow Jones industrial average was down 108.37 points, or 0.51 percent, at 21,300.15, the S&P 500 was down 12.35 points, or 0.508769 percent, at 2,415.08 and the Nasdaq Composite was down 18.85 points, or 0.31 percent, at 6,157.55. Snap Inc shares fell 5.6 percent on Tuesday, after lead underwriter Morgan Stanley downgraded the stock and raised concerns about the social media company's ability to compete against rival Instagram. Shares of Arena Pharmaceuticals Inc soar about 50 percent after the drug developer said on Monday its experimental drug for a rare but deadly lung disease met the main goal in a mid-stage study.